Sam Meekings's remarkable debut novel showcases his luminous, poetic writing, as well as insights that belong to a writer twice his age. Part love story and part historical narrative, Under Fishbone Clouds carries the weight and beauty of a lifetime's achievement. Under Fishbone Clouds is a universal love story, a family saga, and a journey through Chinese history, myth, and culture. Following a young Chinese couple as their love grows, and is tested, during Mao's Cultural Revolution, this elegant debut novel provides a rare and personal glimpse into the birth modern China. When the Kitchen God is challenged by the Jade Emperor to fathom the workings of the human heart, he chooses to follow the life of Jinyi and his wife Yuying, from their blossoming love until their old age, in hope of finding an answer. The Kitchen God watches as the new government strictures split their family in two, living inside their hearts as they they endure the loss of two children, homesickness, and isolation, all while keeping alive a love that survives famine, forced labor, and even death. Weaving together the story of their life with Chinas recent political history, as well as traditional folktales and myths, the Kitchen God illuminates the most impenetrable aspects the human condition. Beginnings are always difficult, especially when you have lived as long as I have. I could start by telling you that this is a simple story about two hearts and the way they are intertwined. But that wont do. The Jade Emperor would not like that at all. I think I will have to go a little further back. In a small border town huddled at the furthest reaches of a northern province, there was an old teahouse. It was winter there, thousands of years ago. And inside was the owner, his face flushed despite the frost that had turned his windows into rivers of curdled milk. He bolted the door at the end of the night and ran a wet rag through his hands. As he moved, sweat slipped between the folds of his shirt. He had been pacing between the tables since morning. Lukewarm tea sat in a squat clay cup on one of the dark wooden tables, the leaves sunk to the bottom like broken lilies given up on light. Under Fishbone Clouds is at once an examination of the nature of love and the human heart, a survey of 20th century Chinese history, an introduction to Chinese mythology and philosophy, and a poetic work of contemporary fiction. It is one of the best books I've read in a while, and will surely only get better upon a second reading. I highly recommend it! (Reviewed by Elena Spagnolie). Meekings's accomplished first novel is based on the lives of his Chinese wife's grandparents. An unlikely love story set against the events of the last half-century in China, it's a tale of terrible suffering that also manages to be a poetic evocation of the country and its people…His exuberance and verve win out. He imbues Under Fishbone Clouds with a magical atmosphere. Lavishly imagined and skillfully narrated. Hails the arrival of an intriguing new talent. Beautifully written, it is an enthralling debut. This intricate tale of love, folklore and one of the most turbulent and terrible times in modern history is as beautifully woven as a silk tapestry. An affecting, useful revisiting of not-so-distant events, capably handled by a skillful, empathetic storyteller. This is a big novel that initially requires some patience with the interwoven chapters of plot and folklore, but in the end the reward is gratifying. 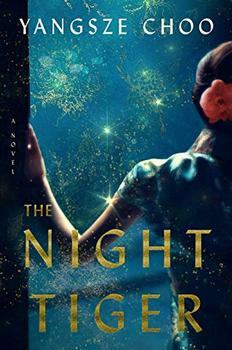 It may appeal to Amy Tan fans, although the author’s style is more similar to Bette Bao Lord. Starred Review. This is a beautifully told love story as well as an absorbing study in Chinese folklore and history. A powerful and mesmerizing novel, both mythic and intimate. Sam Meekings has a maturity of insight and theme not commonly found in a young writer. This is a masterful accomplishment of imagination, insight, and lyricism. The playful yet poignant narrator of Sam Meekings's Under Fishbone Clouds introduces himself as Zao Jun, a being who, before becoming the Kitchen God, was a mortal human. 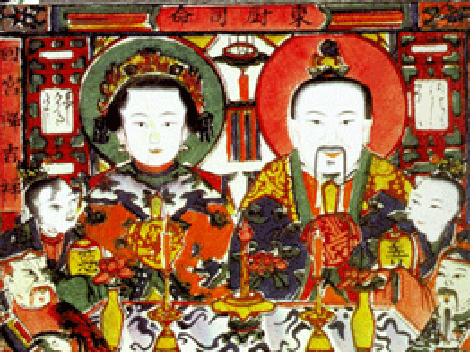 There are many versions of his story spread throughout different regions of China, Taiwan, and Southeast Asia, coming from both Taoist and Buddhist traditions, though mythologists date the most popular version back to the Han Dynasty in the 2nd Century BC. A sweeping historical novel about a dance-hall girl and an orphan boy whose fates entangle over an old Chinese superstition about men who turn into tigers, set in 1930s Malaysia.